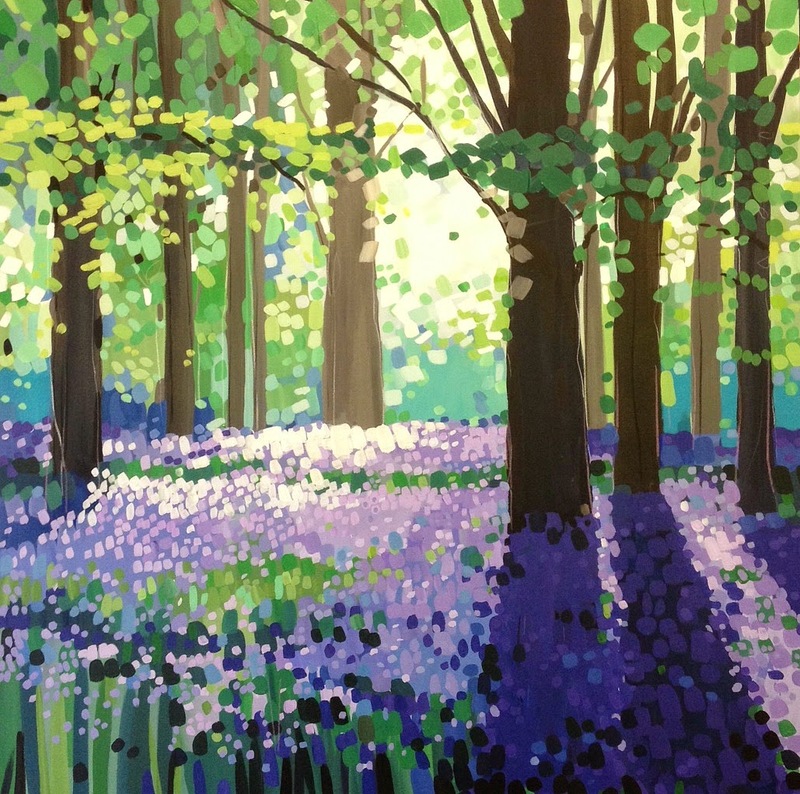 Just a quick note to say that at 8pm GMT tonight (Friday May 16th) there is an AMAZING art sale on my Facebook page in recognition of the inspirational Stephen Sutton who died of cancer on Wednesday. ALL proceeds from the sale will go to his Just Giving fund for the Teenage Cancer Trust. Work from over 60 artists has been donated to the sale, so it's going to be quite an occasion! 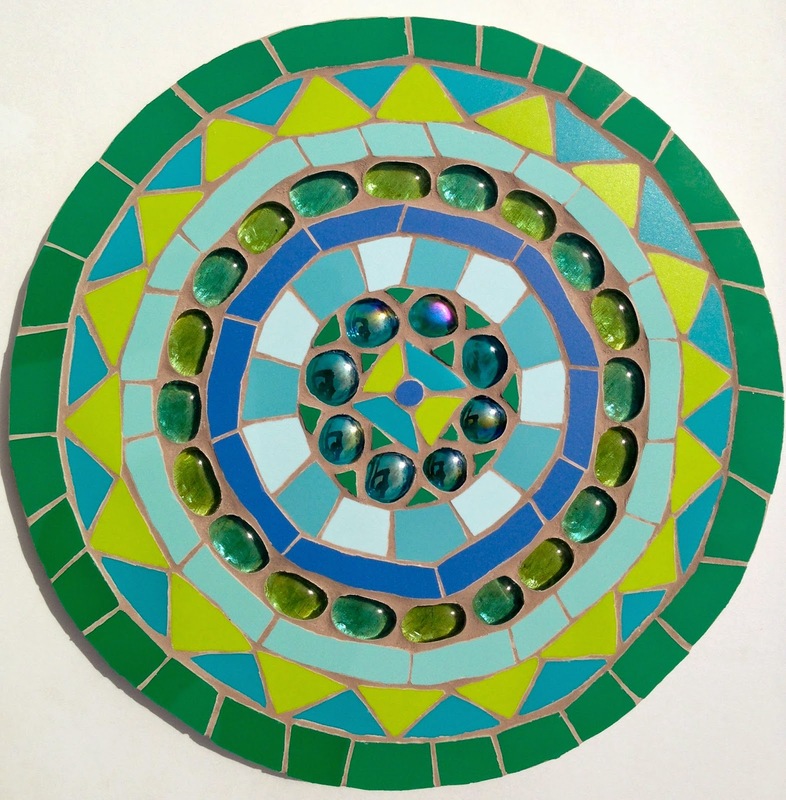 Do join us at 8 pm here - www.facebook.com/justmosaics.co.uk - have a browse at all the amazing work on offer before, suitable for all pockets. If you would like to take part, PLEASE read the post on my Facebook page about how the sale works, before it starts because, as you can imagine, it's going to be busy and it will be tricky for me to answer any questions!! Really hope to 'see' you there, and to raise money for the Teenage Cancer Trust in honour of Stephen - I don't want to be on my own at 8pm! 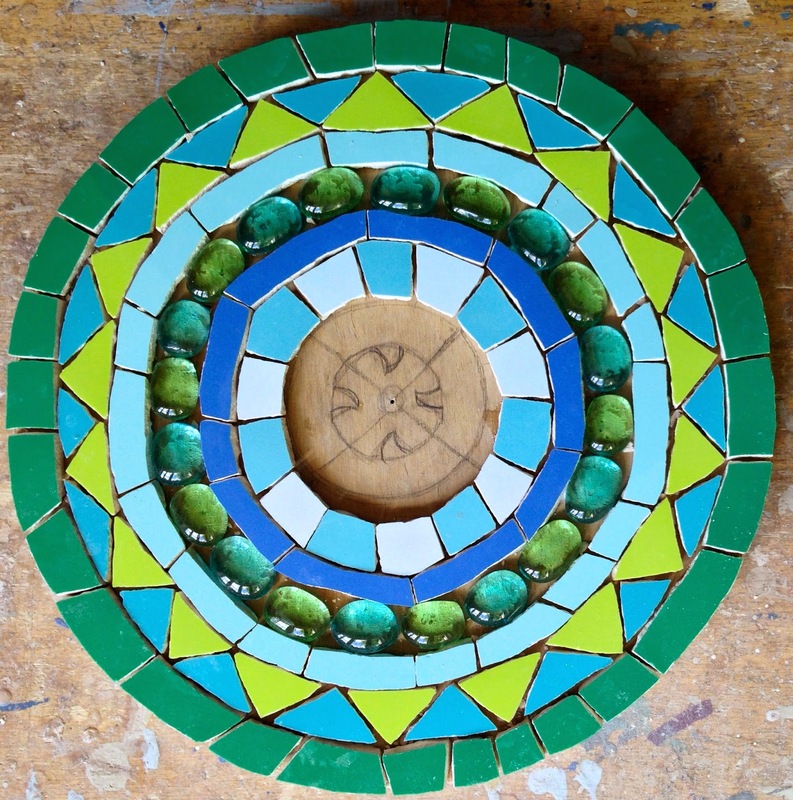 I am so excited about sharing my Mosaic Mandala with you! 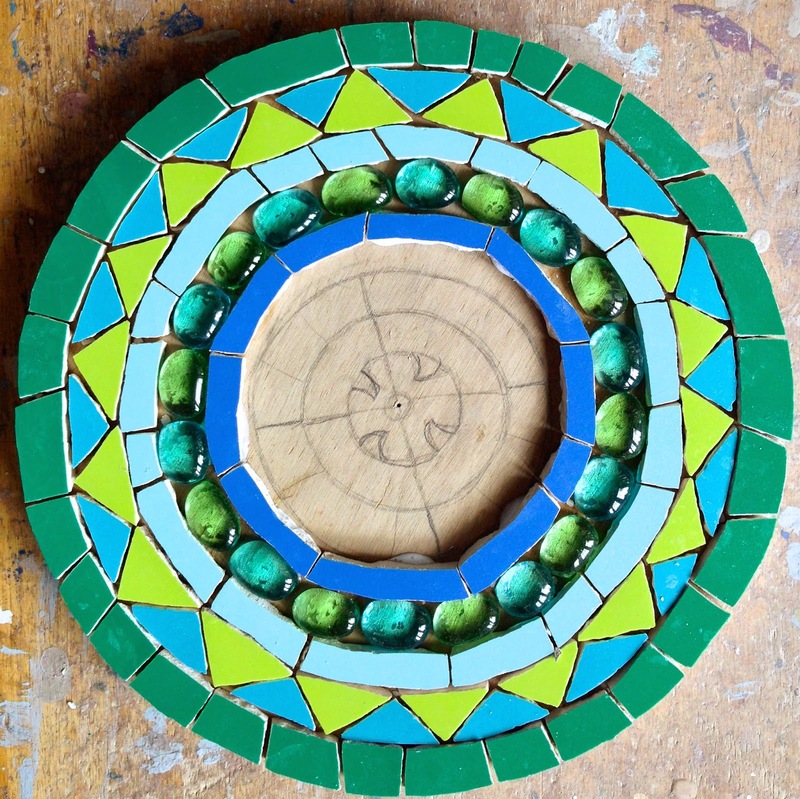 Sometimes as an artist you get really jittery and excited inside about a piece you make - as if you have had too much coffee or something big is going to happen - I'd better warn you, I am in that state now - I've even forgotten to have lunch! I was inspired to make a Mandala by Lucy at Attic 24 - www.attic24.typepad.com who is running a project making crochet Mandalas for Yarndale www.yarndale.co.uk- and she kindly said she would accept a mosaic one! I love pattern and colour, and this just seemed perfect for me. So in between big commissions I went head first into Mandala madness, and I am now a woman obsessed. I loved using some different materials and getting that colour and texture combo just right - I was soooo happy making it! 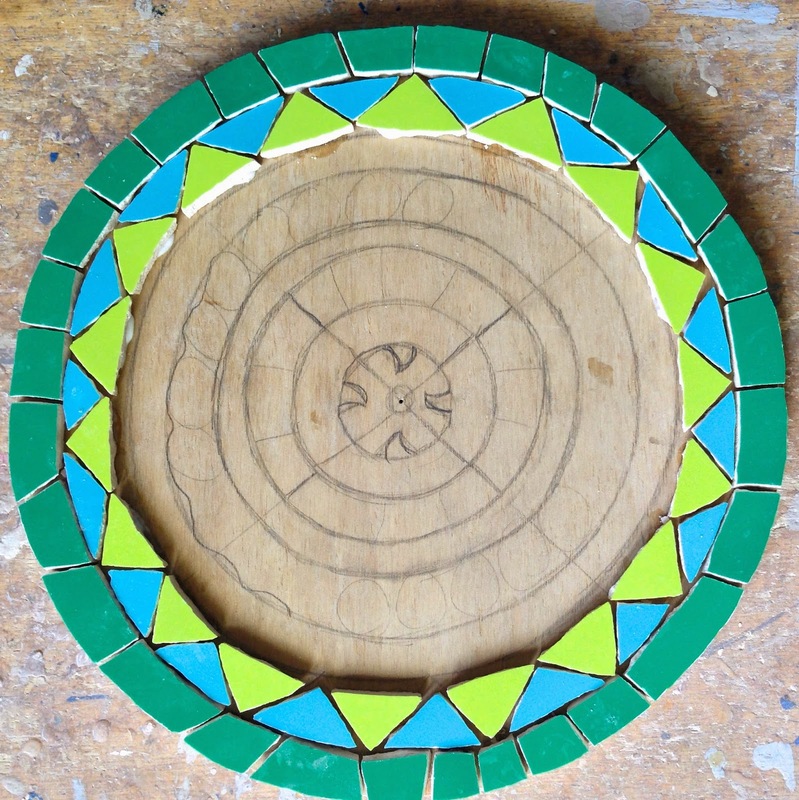 Here are snapshots of the making progress - my heart is pounding as I see it unfold.. I can't tell you how exhilarated this all makes me feel!! 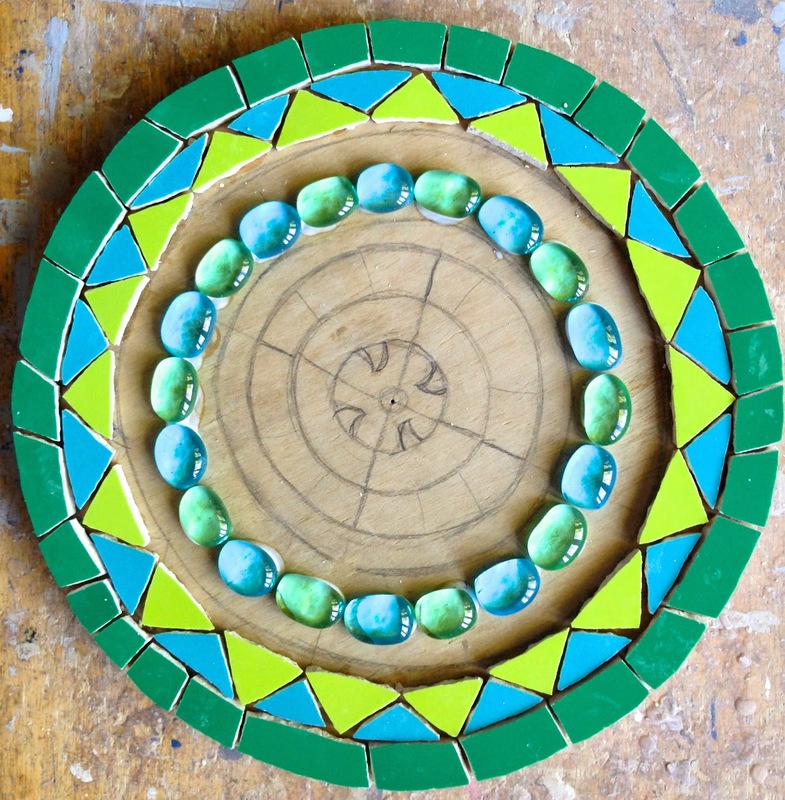 This Mandala is 20cm in diameter and approx 10ml depth - it can be hung on a wall or used on a table, or just looked at for an instant uplifting of the spirit. Each one will be unique, but guidelines are always welcome to get me started. 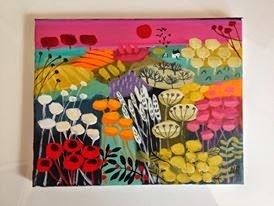 I'm too jittery to firm up a price yet, but it will probably in the region of £50 ono! Thank you for bearing with me - please let me know if you feel the same about it ... or is it just me?! 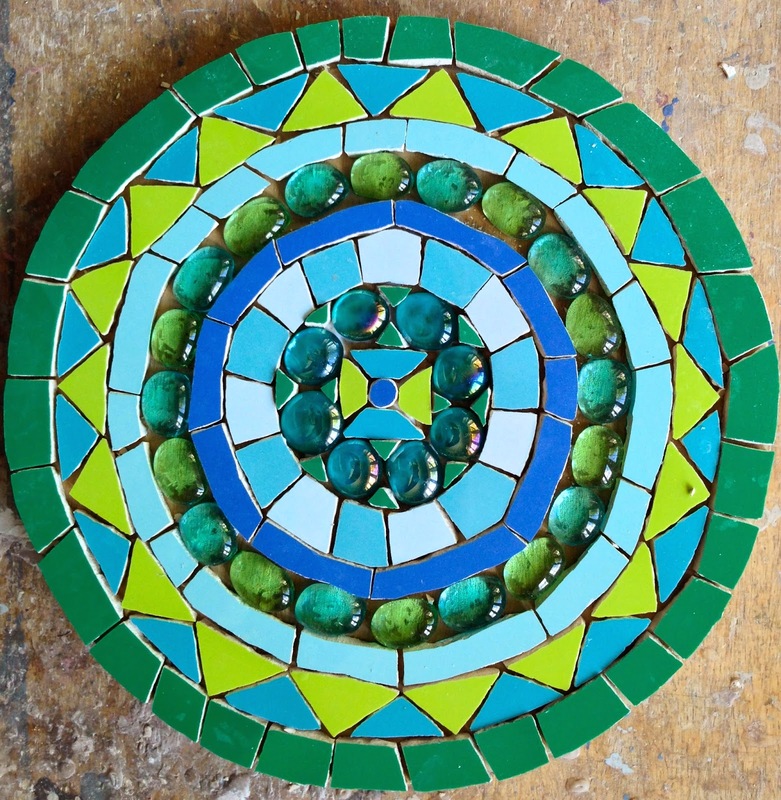 A celebration of colour - my latest Kandinsky inspired mosaic! 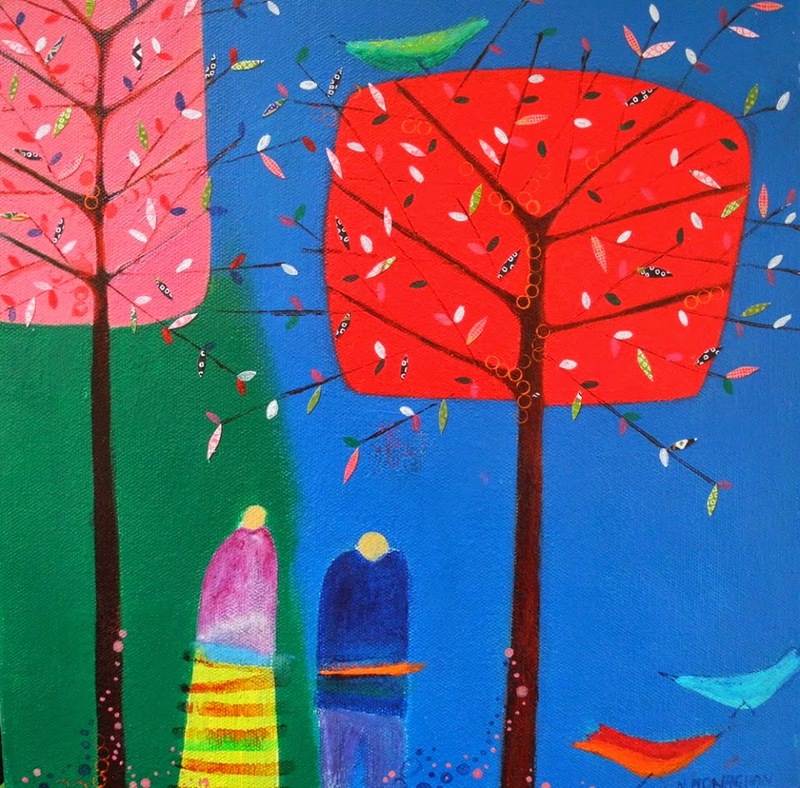 As you can probably gather from my work, I absolutely LOVE colour! It gets me all excited, and I can't get enough of it. I have just finished my latest commission of a Kandinsky inspired mosaic, and though I say it myself, I just love it and can't stop looking at it! 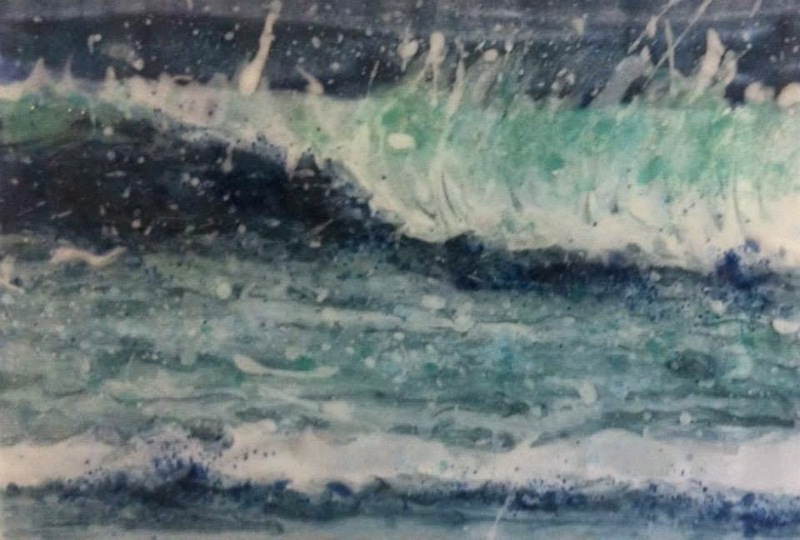 It measures 60cm x 120cm, and is destined for a new extension in Oxford, where it will be the only piece of art and the walls are white - fab! And here it is.... ta dah! My customer came to see me with a rough idea of the colours she wanted, and a few she didn't want - fair enough - and then, just left the rest to me. 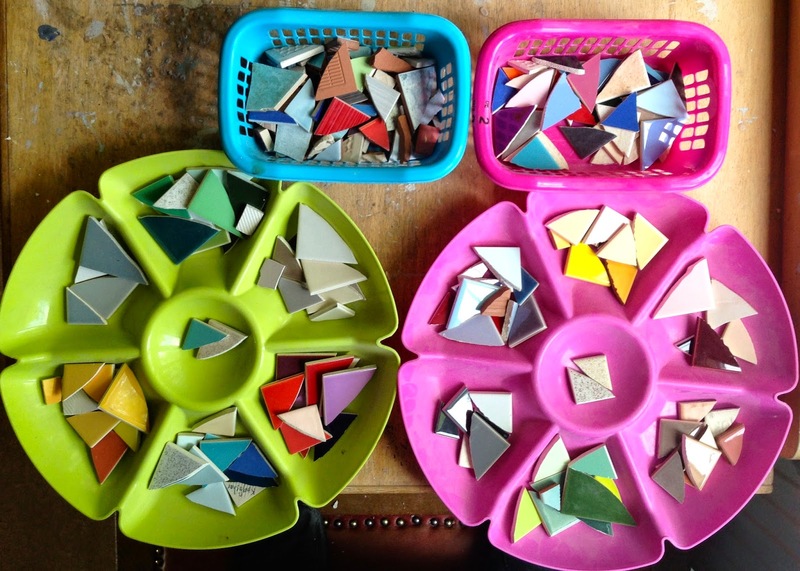 So, unable to wait, as soon as she had gone, I got out my wheels of colour (tile samples - see below) and started choosing a palette for her commission. 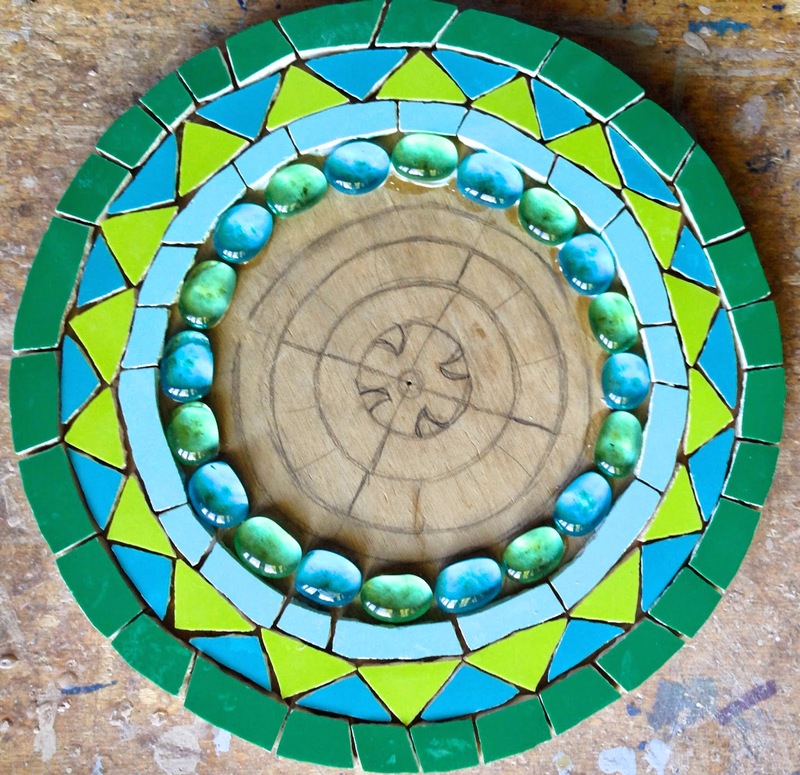 Now, you can't have too many colours, otherwise the piece doesn't come together as it should, but you want a good mixture of light and dark with lots in between and one or two really bright ones - here the lime green and the mango. Choosing the colour combinations for each square is more difficult than you might think, and I changed my mind so many times. Sometimes it just comes to you, other times you have to be more methodical, not wanting colours that are too similar near each other - and sometimes, you do a colour combo that it just completely off the wall, and it works! 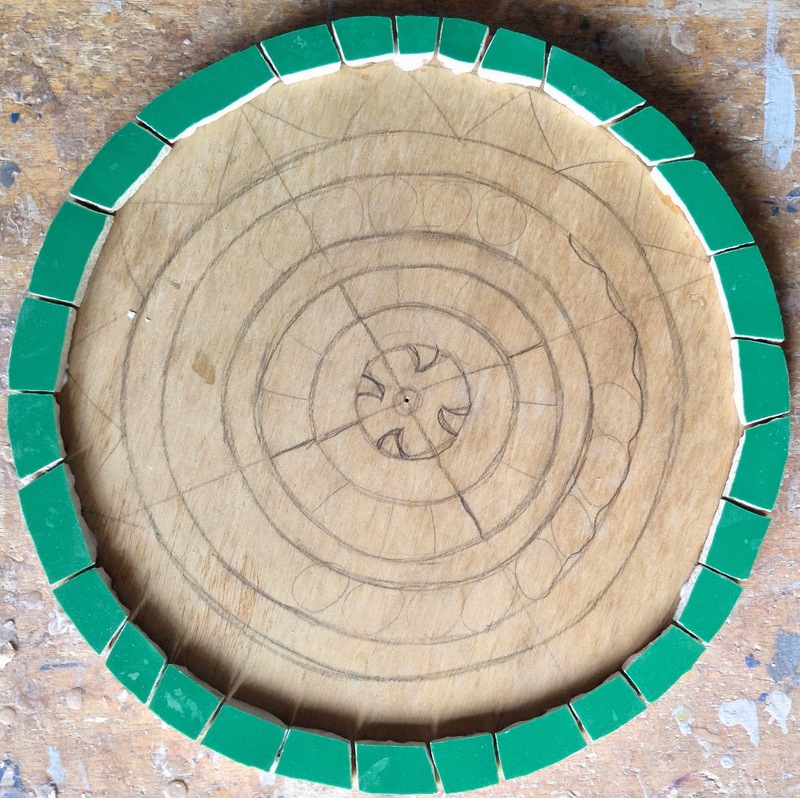 I shall be very sad to see this mosaic go - I like to think of each square as a little work of art in itself. And what you can't see in the photo is the amazing 3D effect the different depths of tiles gives it - you just want to stroke it, soooo textural! Needless to say, I am always happy to make more - any size and colour combo, so if you have a space that needs to be made HAPPY, do get in touch! 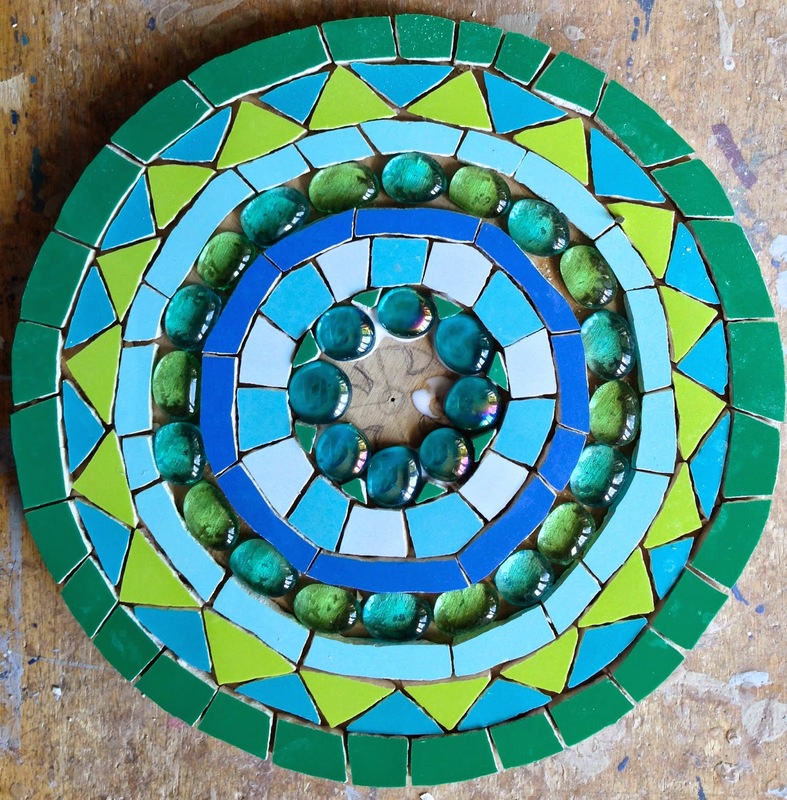 Just Mosaics' flower mosaic sale TODAY! 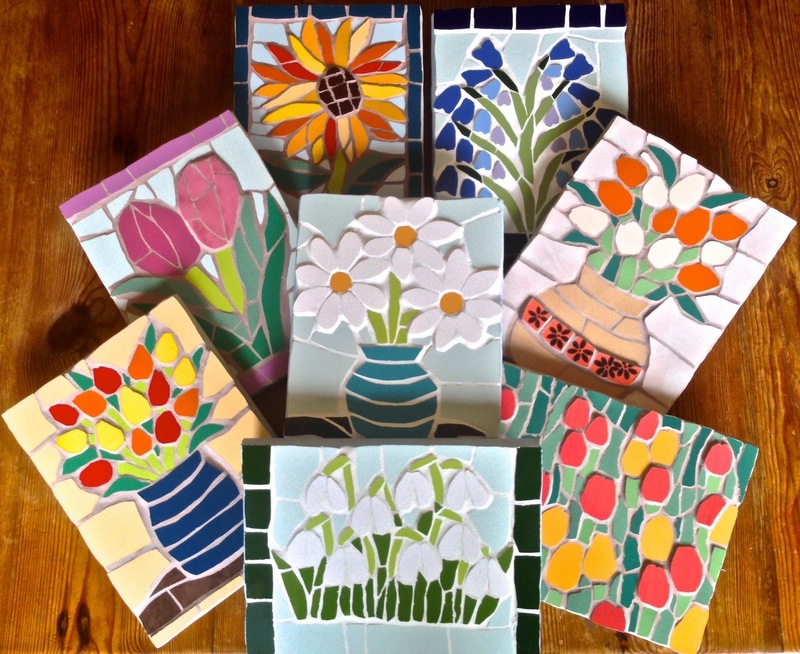 All these flower mosaics will be on sale, ready to post to you and at a great price!